The new feel Fridays are upon us! 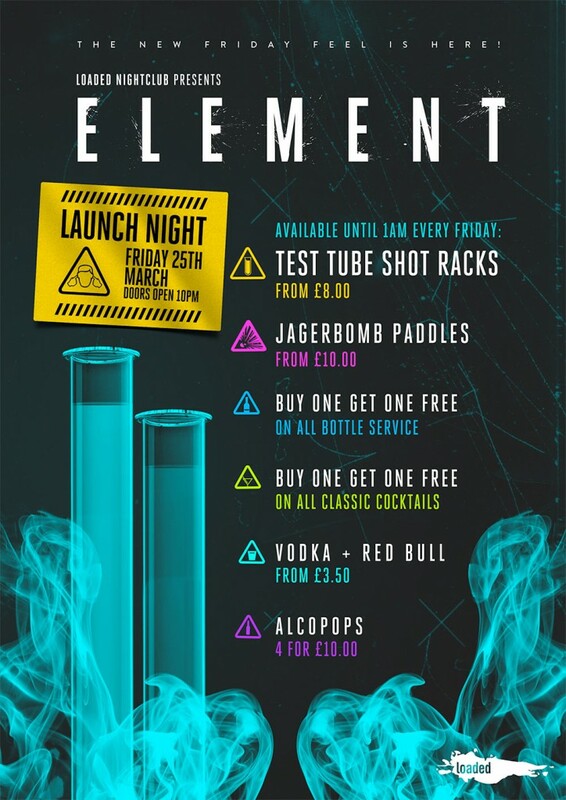 And the theme is ‘elements’… Pick from the following promotions and or pre-buy to mix your own concoction, all available before 1am every week! Every Friday night resident DJ Silky D plays the biggest tunes all night long, from urban to dance, party to funky house. 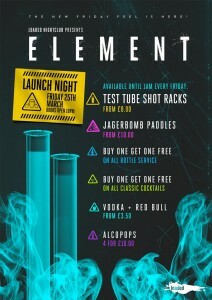 The BIGGEST ever pre-party offer is presented every week in @Bounce. With TWO drinks FREE with every ONE purchased, you cannot go wrong, PLUS the only place to pick up your Loaded tickets for as little as £3 each! Our BEST value packages and entry tickets are always available online, in advance, however if you miss out expect the following prices. Please note late entry is strictly at the manager’s discretion and subject to capacity. Our packages offer the best value within the club, and our VIP Tables and Booths offer an experience like no other locally. If one of our fixed packages don’t suit your needs, let us know and we will be happy to tailor one around your requirements. Simply email one of our party coordinators on party@loadednightclub.co.uk, complete the enquiry form on the website, or call 01775 712200. Our hospitality hosts will be available on the door for you to discuss package on the night too.